Many titles include project management in their job description. Does this mean that, for example, a product manager does the same job as a project manager? Well, yes and no: product managers do work with the same material as project managers (like time and resources), but they have different goals and work under different constraints. "Project manager" is such a generic position that people often confuse it with other roles. To make things more confusing, project managers often end up with responsibilities outside of their traditional job description, like working with clients, managing other project managers, or driving forward business strategy. A project manager manages projects. That's all they do. They are in charge of meeting deadlines, staying within budget, and completing tasks. If they're doing things outside of those three things, they are more than project managers. All these positions appear similar because they require a similar skill set (organizing, people management and leadership, time management). If you have skills and experience as project manager, you can transfer those skills (although you’ll still need some industry-related experience). The main difference between a project manager and a project coordinator and program manager is the hierarchy and the scale of responsibility: program manager manages> project managers who manage> project coordinators. When a project manager has too many responsibilities, they delegate some of the work to a project coordinator. Project managers spend 80% of their time on communication. Usually, a coordinator takes over some communication channels so the project manager doesn’t have to communicate with everyone. For example, let's say a project manager has a local team of 7 people and a remote team of 20. Synchronizing the work of the remote team (which spans across different time zone and cultures) is a full-time job. By letting a coordinator manage the remote team, the project manager can make their work manageable and work with only 8 people (the local team and the coordinator) instead of 27 (everyone). A project coordinator can take other responsibilities besides communication, like expediting tasks and other operational details. The project coordinator then becomes more of a traffic controller who arranges assignments and compiles status reports. This frees project manager to pursue other things, like identifying goals and aligning projects with business strategy. A program is nothing else but a big project that's broken up into several projects so it's easier to manage. At the head of a program is the program manager and their job is to manage project managers. Program managers have a high-level overview, so it’s their job to communicate the vision and harmonize work of each project manager in the program. Programs usually focus on some business objective or initiative. For example, you might create a program for rolling out a new product in your corporation; this is a big undertaking so you break it into several projects (eg. promotion strategy, distribution, logistics) and coordinate work. Product managers often work in product companies and have a more strategic role, while product owners often work in Scrum consultancies and they represent the client in front of the development team. To develop a product, you need to satisfy the needs of your stakeholders: clients (if you're an agency) or customers (if you're a product company). To do that, you need to work with both your clients/customers (external) and engineering (internal). Product owners are internally-focused and product managers are externally-focused. Product managers lean toward working with clients/customers and product owners lean toward working with the engineering. 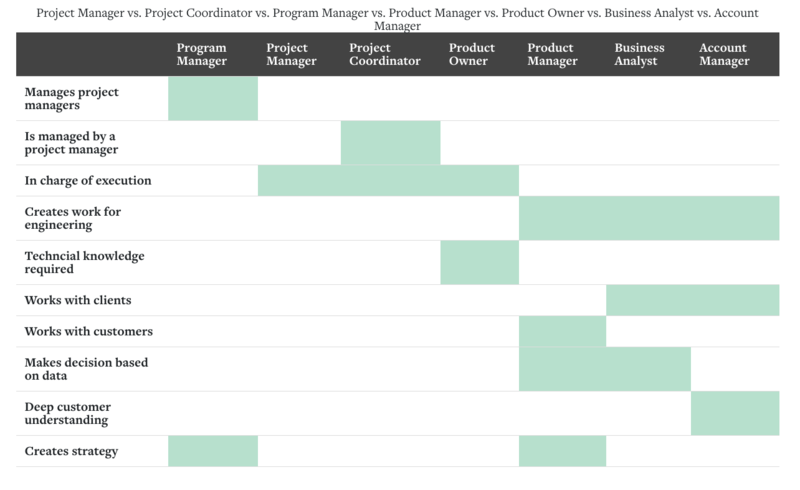 In that sense, product owners are closer to being project managers than product managers. Product manager's main concern is if the product they're developing will succeed in the market. Product owners, on the other hand, worry if engineering has all the details they need to develop the product. Product managers often work in product companies and product owners work in Scrum shops. So sometimes, the title says more about the company than about the actual job description. It's not rare to see one person doing both jobs, which became a norm in startups and boutique dev agencies. But that creates a problem of balancing external and internal focus. For example, if you spend too much time working with clients/customers, engineering will suffer: stories will lack detail, the team will have to wait for answers, and they'll produce less. On the other hand, if you spend too much time with engineering, the product will lose its touch with the market: you will have fewer client meetings, fewer sales materials, and you’ll end up developing a wrong product. The product owner is a role in Scrum (which is project management methodology). Product owner decides how valuable each backlog item is and what the team will work on next. Product owners are there to represent the client’s interest in front of the team. When someone on the team has a question, they ask the product owner who must think and answer like the client would if they were personally there. 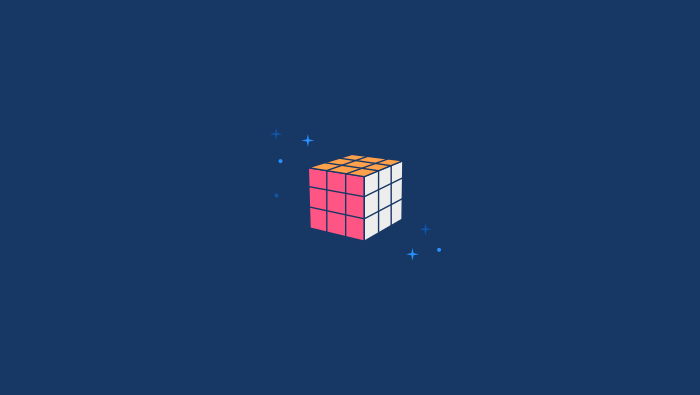 Product owner’s other responsibilities are to: describe each user story in detail, participate in daily standups, and make sure the product backlog is visible, transparent, and clear to everyone. In contrast to the product owner, product managers have a more strategic role. They know the market, what their customers need, product position, and based on that they create the product roadmap. Also, while a product owner represents the client, a product manager represents the customer. Because a product manager has to listen to thousands of stakeholders (and not just one client), they need to do a lot of data analysis and draw on insights from other departments like support, marketing, and sales. The role of a business analyst and an account manager is almost the same: they both work with clients and their only contact with engineering is when they hand off requirements. But there's a subtle difference: business analysts focus on the technical aspect and account managers on the people or financial aspect (whether account manager schmoozes clients or spreadsheets depends on the industry and its particular definition of account manager’s role). The business analyst is the link between clients and engineering. Their job is to understand both business and technology, and then prepare user stories, high-level functional diagrams, etc. For example, a client might need new software so they can be more productive but doesn't know how to develop it. So they hire a consultancy, which then sends a business analyst who talks to the clients, sees how they work, and define requirements for them. Business analyst's’ job is to elicit requirements from the stakeholder, analyze and document those requirements, and hand them off to the product owner. Account manager handles accounts and does whatever it takes to make sure the client is happy. They have a deep understanding of the customer's business and know political and environmental factors that affect it. While business analysts are more prevalent in the IT industry, account managers can be found anywhere, as virtually every business depends on accounts. An account manager evaluates progress against dates and budgets like a project manager, but they put a greater emphasis on financial indicators (like sales, profit, and overhead); which explains why most account managers usually have a Profits and Losses background. Because account managers are responsible for company profits, they have more power when it comes to planning prices and incentives (as opposed to project managers who are constrained by technical requirements and have to correct deviations by changing priorities and juggling resources).